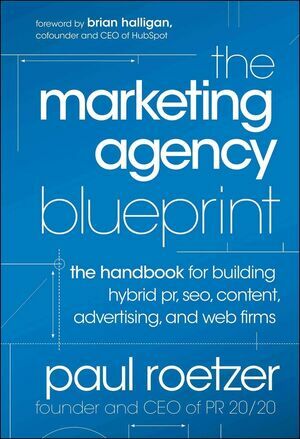 PAUL ROETZER is the founder and CEO of PR 20/20, a Cleveland-based marketing agency specializing in public relations, content marketing, social media, and search marketing. Roetzer was featured in Inbound Marketing (Wiley), in which authors Brian Halligan and Dharmesh Shah describe how he transformed PR 20/20 into one of the fastest growing marketing agencies in the country. Smart Business named him an Innovation in Business Rising Star. He also wrote the popular ebook How to Build Your Inbound Marketing GamePlan, which is available for download at www.PR2020.com.